when we aren't sure what to do next. creating a body of work. at her opening last night! 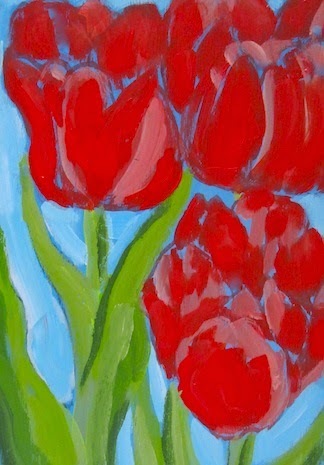 Here is the start of a little tulip painting. today spring is definitely on its way. Thank you so much. We've so enjoyed our visits to the city in recent years.